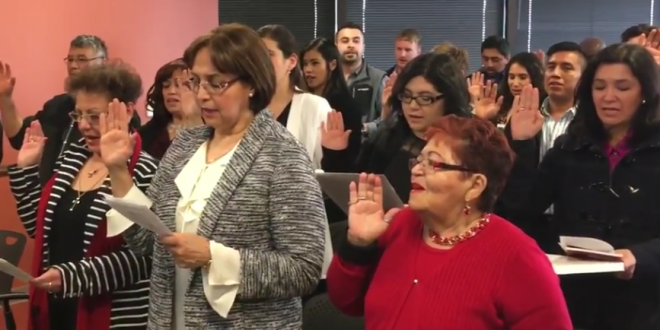 Court Upholds "So Help Me God" In Citizenship Oath - Joe.My.God. A French atheist living in Massachusetts lost her court battle Friday to strike the phrase “so help me God” from the U.S. citizenship oath. Granting the government summary judgment, U.S. District Judge William Young found that nothing about how the oath is administered, or how it burdens challenger Olga Paul Perrier-Bilbo, amounts to a constitutional violation.